Fashion and Style,- Shopping in Thailand can be fun - haggling the prices, getting great deals, the aroma of open-air markets, and getting souvenirs for family and friends. But, you need to be careful. Your shopping trip can result in your goods being confiscated, heavy fines, and possibly jail. There is no foolproof way to know the difference between a bargain and a fake, but labels and packaging can be revealing indicators. Look for missing or expired “use by” dates, broken or missing safety seals, missing warranty information, or otherwise unusual packaging. For larger purchases, such as mechanical or electronic equipment, seek reputable sellers and check serial numbers with manufacturer databases. If you purchase medicine from a new vendor and it does not match the size, shape, color, taste, and side effects of your usual product, contact your pharmacist or the manufacturer to determine if it came from a legitimate source. 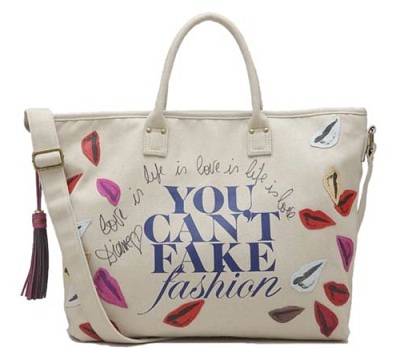 You can also verify authenticity by comparing the manufacturer’s contact information with another product’s packaging, as addresses and phone numbers provided with counterfeit goods could be misleading. Companies often publish lists of authorized retailers online or in packaging materials. If you are uncertain whether a retailer acquired its products from a legitimate distributor, ask for verifiable information from the retailer about the source of the goods. Familiarize yourself with the suppliers of retail outlets and encourage your favorite stores to secure their supply chain. Trustworthy vendors work within a secure distribution network that follows steps such as those published in the U.S. Chamber’s Supply Chain Tool Kit. Businesses trading in counterfeit goods often do not report their sales to financial authorities__a difference you may notice in the price you ultimately pay, particularly in states that collect sales taxes. If a purchase price does not appear to reflect the required sales tax or other fees, you should inquire further about the price and the source of that company’s products before buying. Operations dealing in counterfeit products are likely to disregard the need to transmit and store customer data in a secure fashion. Avoid making a purchase if you are uncomfortable with the security of the transaction. When doing business online, make sure your payments are submitted via Web sites beginning with https:// (the “s” stands for secure) and look for a lock symbol at the bottom of your browser. When making transactions in person, look for assurance that your credit card information does not appear on copies that can be mishandled. You may wish to purchase used or discounted products from a reseller. However, the differences between reasonable packaging and content irregularities and counterfeits may be too subtle to detect. Avoid counterfeits in the secondary market by asking for details about your supplier’s quality assurance processes. Reputable and reliable resellers have comprehensive inspection and authentication procedures and technicians to inspect the equipment they sell. Consumers can play an important role in keeping the market free of fakes by acting as a source of investigatory clues for U.S. brand owners. If you receive spam that directs you to a suspicious Web site, report the information to the brand owner and to the authorities. If you suspect you’ve purchased a counterfeit or pirated product, notify the brand owner and contact the place of purchase for an exchange or reimbursement. Report unsafe products to the Consumer Product Safety Commission by calling 800-638-2772. Many counterfeit and pirated goods are the product of complex illegal manufacturing and distributing operations. If you suspect an intellectual property crime, report it to the National Intellectual Property Rights Coordination Center. While many international businesses offer unique products that are unavailable or hard to find at home, in certain foreign markets counterfeit and pirated products are even more prevalent than in the United States. The U.S. Department of State publishes travel advisories that may alert you of known counterfeits appearing in your destination country. Be aware that U.S. Customs officials have the authority to confiscate counterfeit products upon reentry into the United States. Also, when shopping on international Web sites, look for trusted vendors that use identifiable privacy and security safeguards and have legitimate addresses. Educate your children about the dangers of fake products regarding their safety and the livelihood of the businesses that make the products they enjoy. Teach children to shop with legal and safe retailers both in local stores and online. Watch for Internet retailers’ compliance with the Children’s Online Privacy Protection Act, which requires that online businesses use additional safeguards to protect the personal information of people under 13. Finally, ask children to check with a parent before giving out personal or family information online. Word of mouth is one of the best ways to spread information about dangerous and defective products and those who sell them. By talking about this problem, you may also learn where your friends and family have found reliable, safe, affordable, and legitimate alternatives. As always, beware of a purchase that is “too good to be true.” If you are uncomfortable with the circumstances of your purchase __such as price, venue, lack of a sales receipt or warranty information, or, most importantly, a vendor’s unwillingness to answer simple questions about the source of the products for sale__ use your common sense and walk away. Fashion and Style,- Fashion Accessory help in highlighting the apparel or any dress code. Accessories are meant to change your entire look. These accessories include Fashionable Bags, Cell Phone Pouches, Sari, Evening Pouches and many others. They also help to hide any sort of weakness of a dress plus they all follow the current fashion trend, which makes everyone to accept them. Above all, these items make people feel comfortable and attractive, thus putting an impact on other's mind. The latest women accessories have been brought by Inspiration - a fashion accessory manufacturer to satisfy ever emerging wants of varied customers. The bags have heavy work on different fashion fabric with innovative styles, which contributes in making them more attractive and demanding in the fashion market. Fashion bags are used for many purposes to store personal product. When you finally decide to dish out a large amount of cash for a handbag, you’ll want to make sure it’s the real thing you are purchasing and not a cheap knock-off. With the popularity of handbags at the present time, its no wonder so many companies are eager to produce knock-off versions of Gucci, Louis Vuitton and other high-fashion handbags. We want to make sure that you know when you are being ripped off so you can spend your well-earned money on something that is truly authentic. 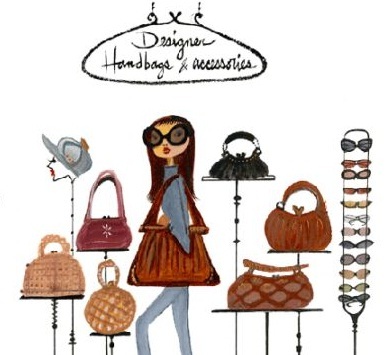 Here are some hints which will help you spot a fake designer handbag when you see one. If you’re looking for something a little different, there are literally thousands of beautifully crafted unique handbags and purses available for purchase online. If you’re tired of the mass-produced offerings you tend to find at the mall, the online handbag, purse and fashion accessory market.